Everyone’s familiar with how artists and designers have portfolio’s for their work. An artist or designer’s best work is kept in one place, now online of course, so that it’s easy for fans, clients and even buyers to see. 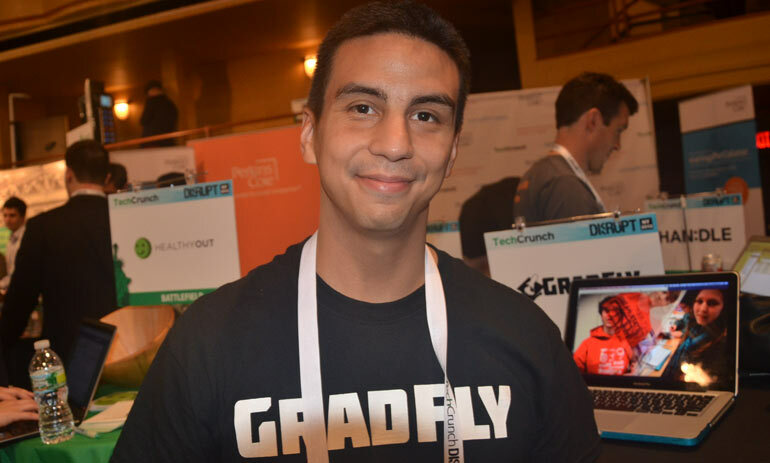 Well Buffalo NY startup Gradfly is doing the same exact thing for high school students with a concentration in science and technology students who are “building the most awesome things”, Oscar Pedroso, Gradfly’s CEO and co-founder said in an interview. Students who enjoy STEM-oriented activities such as building robots, writing code, or solving complex math equations, can build an online portfolio and share their technical creations and achievements in picture, video, or Pinterest-like format with friends, colleges and companies. GradFly’s vision is to bridge the gap between a STEM education, technical training and employability. GradFly is committed to help open doors in STEM and STEM only. It’s not just going after any high school or college student, GradFly is going after students who want to succeed in this new information-based and highly technological society; the company even welcomes curious students. GradFly understands students need to develop their capabilities in STEM to levels much beyond what was considered in the past. At GradFly, talented students are taking their first step by creating an online portfolio and then connecting to technical colleges and companies that are looking for tomorrow’s scientists, technologists, engineers and mathematicians. GradFly is empowering these students (and their parents) to make the best and most affordable decisions about their education and career in STEM. For college and companies, GradFly will standout by offering modern tools focused on sourcing, talent analytics, assessment, interview management and search. The startup’s team, which also includes Anna Hadnagy (CIO), Elliott Regan (Front End Programmer) and Herb Susmann (Chief Architect) were selected last fall for the Z80 Labs Technology Incubator. The work they’ve done over the last 9 months really paid off as they were one of the startups selected to pitch on the TechCrunch Disrupt NY 2013 Battlefield stage. During that appearance, the judges questioned why high school STEM students couldn’t just use GitHub. To that Pedroso says that Gradfly is more visual, helping students tell a story with their work. They also have a focused community of high school aged students, where of course there is no age requirement for GitHub.